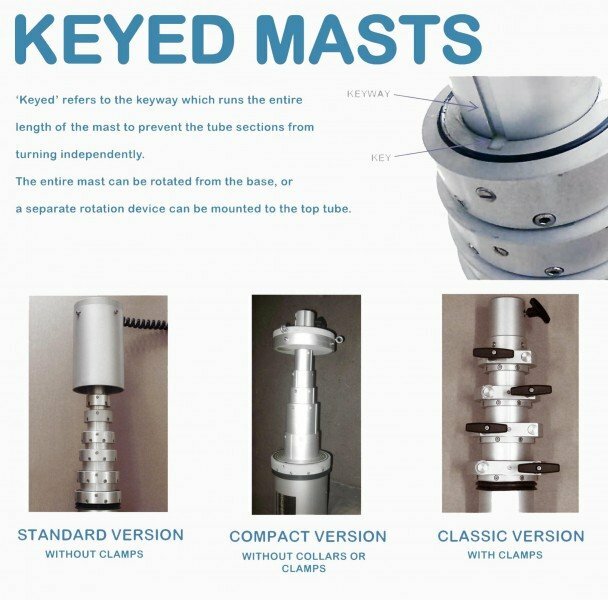 All our keyed masts are built by our expert craftsmen using the best quality materials. 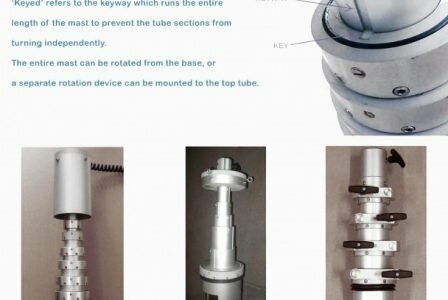 The tube wall thickness ranges from 3.5mm minimum to 6mm. 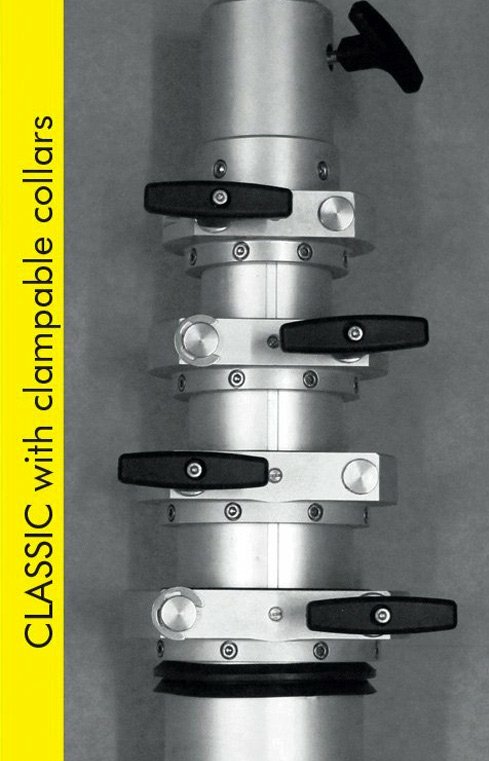 This gives maximum strength and durability. 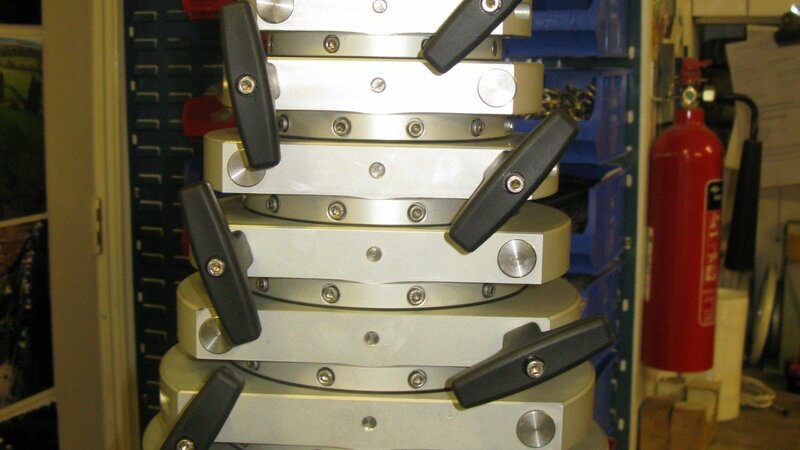 They are fully anodised for protection even against the harshest of elements. 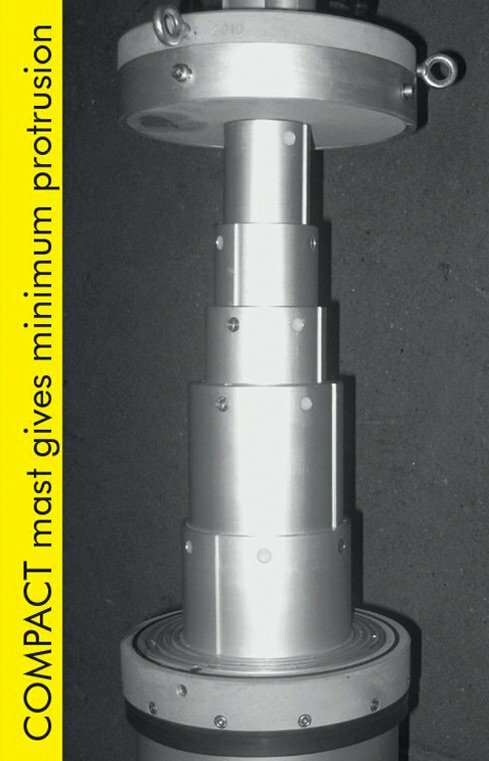 Each mast is thoroughly tested in our quality control department prior to dispatch ensuring complete customer satisfaction. 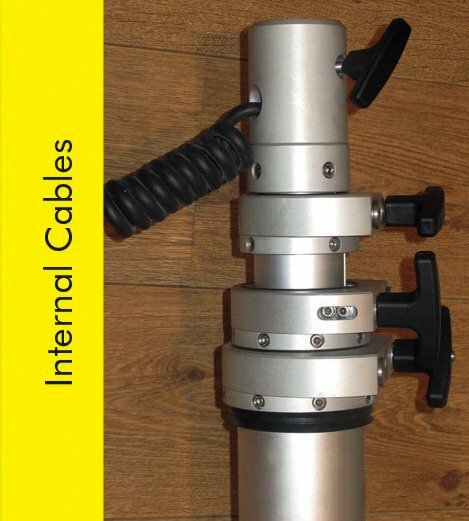 Many masts can be supplied with internal spiral cables – numerous types are available. 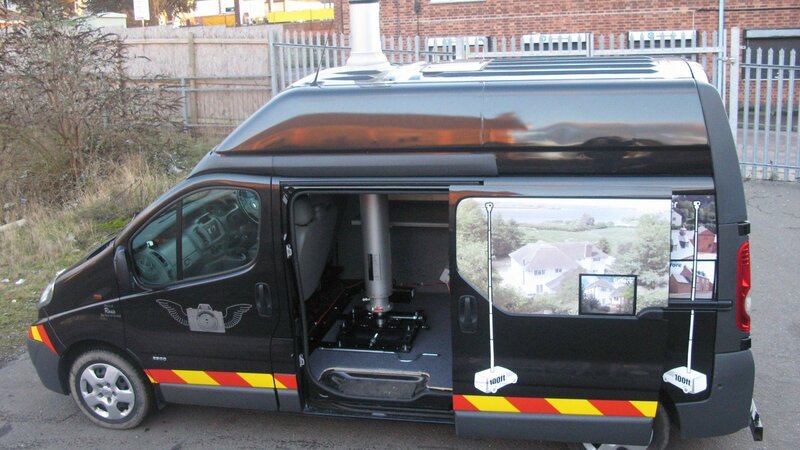 We have over 950 different sizes in our range and can also rapidly design and build special sizes on request. 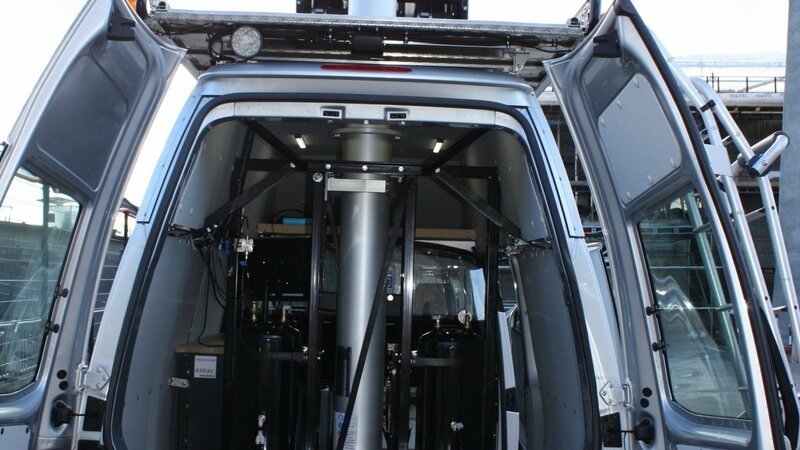 All our masts can withstand the most severe of weather from arctic conditions through to the heat and sandstorms of a desert. 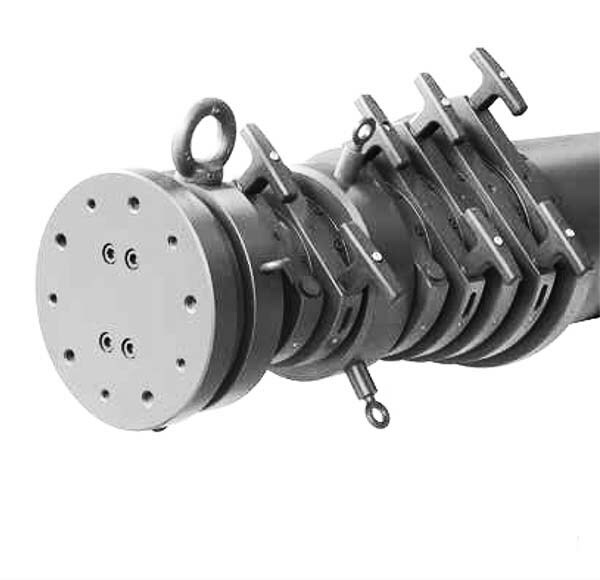 The working temperature is -30 degrees to +60 degrees Celsius. 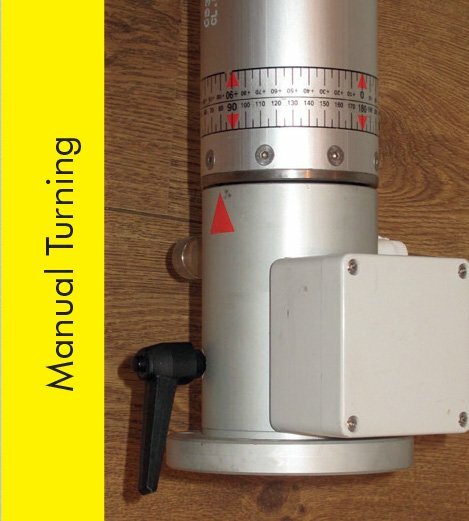 All systems come with a quick release air intake valve and an overpressure auxiliary air outtake valve as standard. 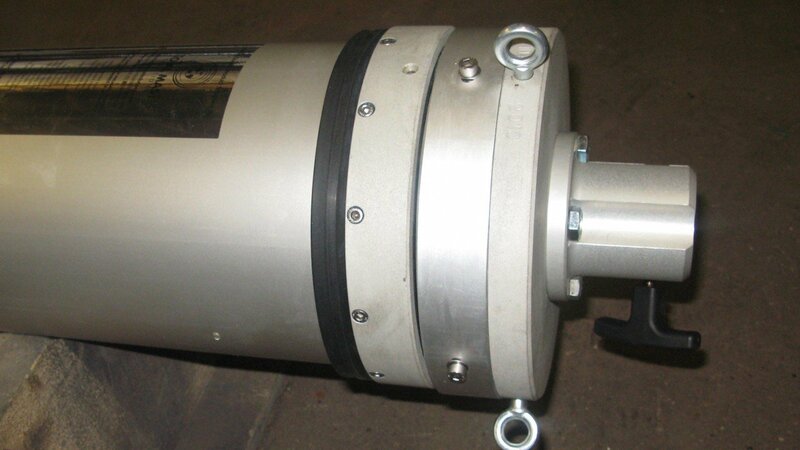 We guarantee our masts for 2 years and the supply of spare parts for 15 years. 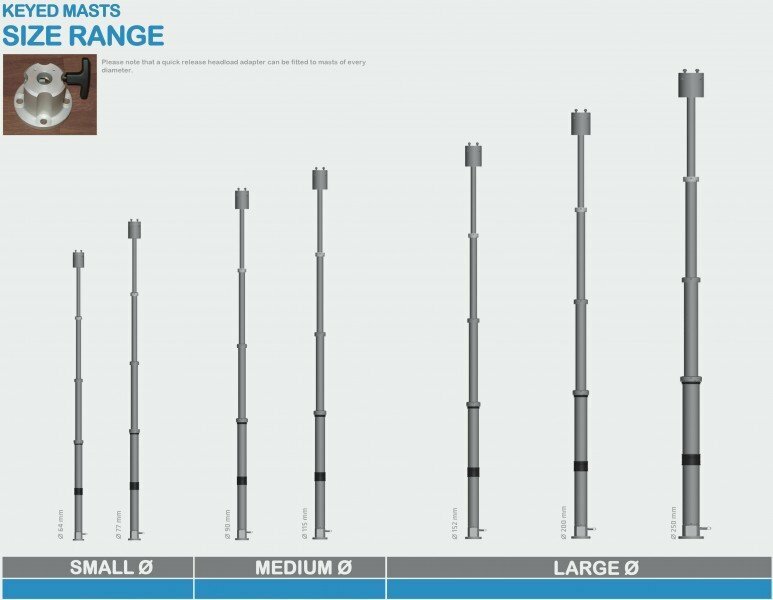 Our group produce over 10,000 masts a year and this scale of production ensures we are the most competitive mast manufacturer on price. Rapid delivery of quality products ensures we are the trusted supplier to military, governments, fire & emergency services, the communications industry, security companies and many other applications. 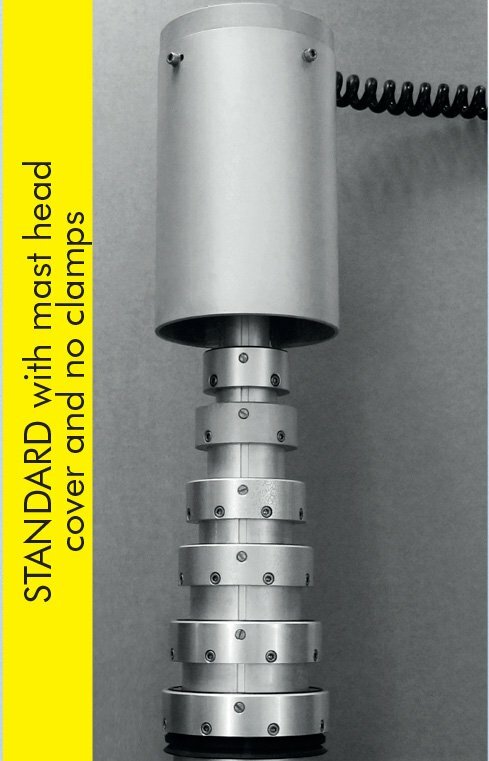 All masts are clear anodised as standard (silver). Other anodised colours also available. What do you get from the range? 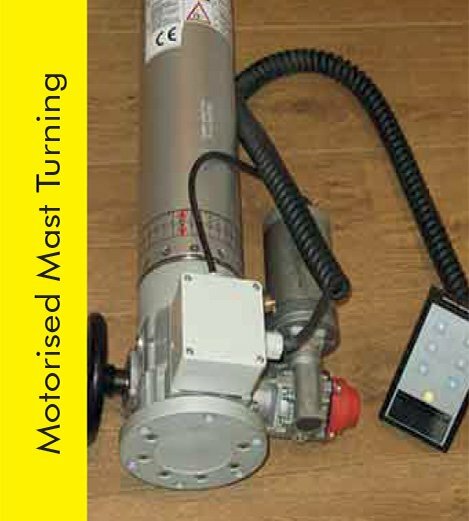 The entire mast can be rotated manually or by 12v/24v motorised base rotation unit with a remote handset. 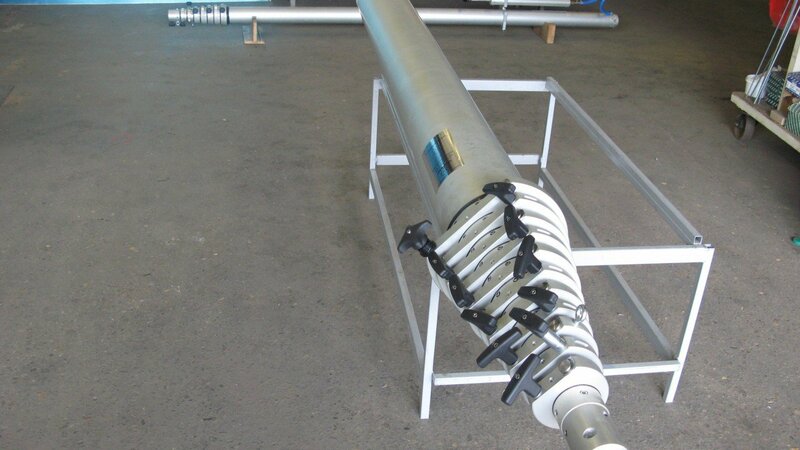 Each mast is equipped with a bolt-able base with pre-drilled holes to fix the mast securely to your designated deployment location, as well as a safety valve to release any water that may seep into the mast. 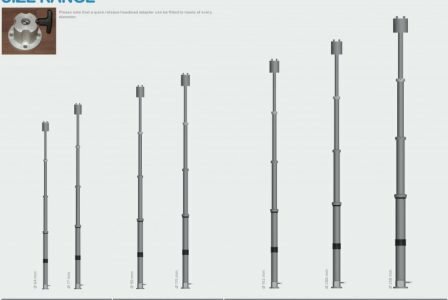 Keyed masts range in extension heights from 2m up to 40m and our largest Ø250mm base tube model is capable of carrying head loads of 270kg. 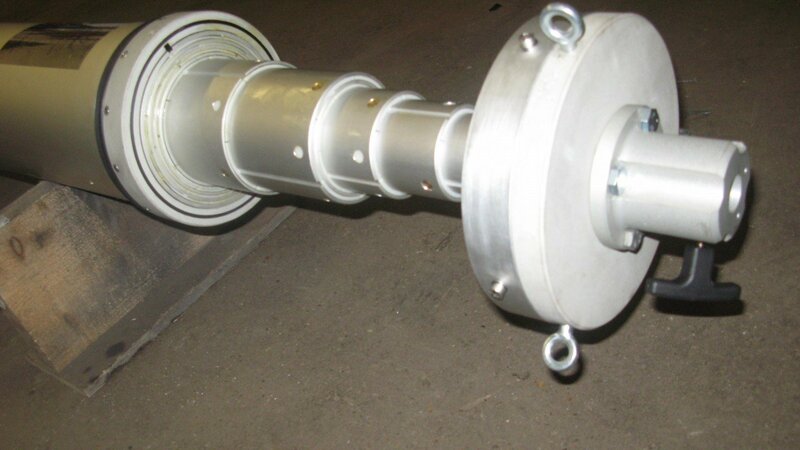 Keyed masts are generally used for long-term deployment and can tolerate severe weather conditions when protected from water ingress using a sleeve that covers the length of the mast.